I wanted to create a fantasy illustration, in which the smartphone displays something not supposed to be there. While painting it, however, I remember seeing a similar smartphone app on TV news program a few month ago. 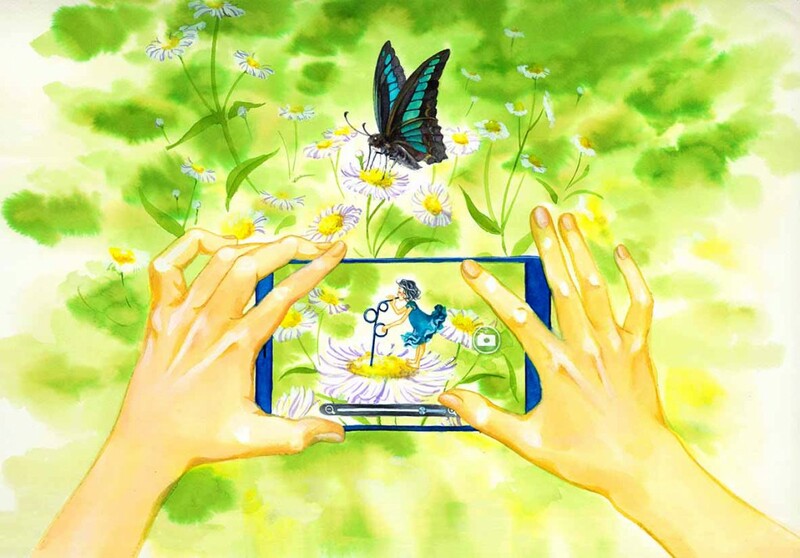 This illustration might be showing a most-advanced technology rather than a fantasy.